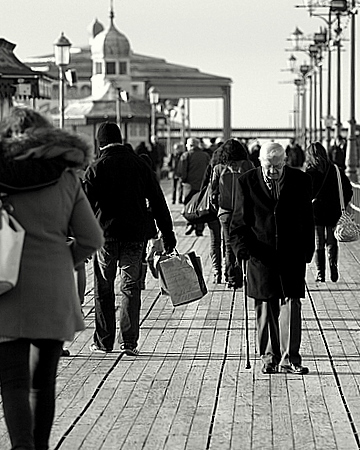 This is the second in a series of three posts of images from Blackpool. 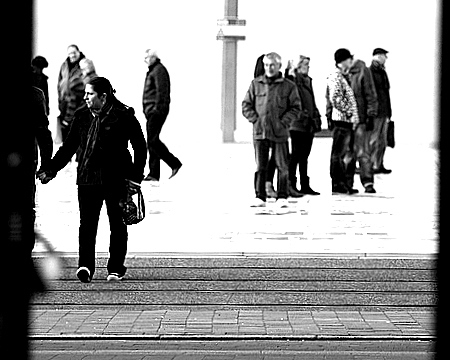 During my wander round, I took the opportunity to do a little bit of people gazing. Not something I do very often but it’s quite good fun. I think it helped that it wasn’t all the busy and everyone seemed intent on doing their own thing. Nobody gave me a second glance despite me wandering about with a big lens in my hand. There was a dance going on in the Tower Ballroom. 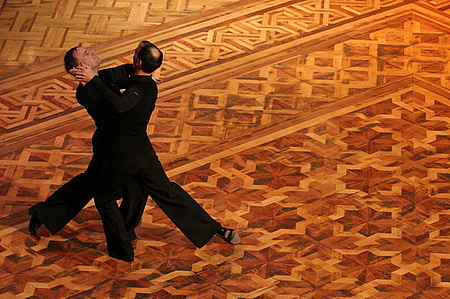 This couple were great, I’m no great expert on ballroom dancing but they seemed to be very proficient. 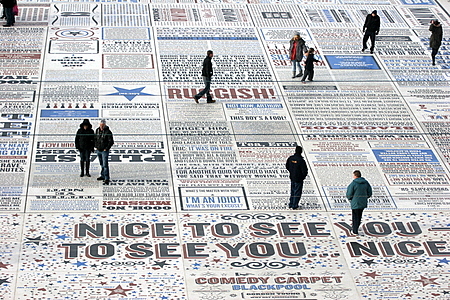 On the Promenade outside the tower there is a massive Comedy Carpet on the ground. It’s a very cool thing, lots of quotes and lines from hundreds of comedians old and new. I liked this shot because you can see people looking down at the words and others looking up at the Tower. 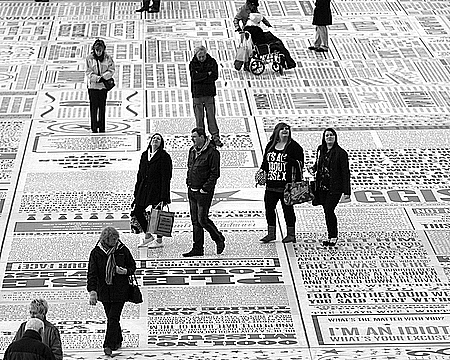 A wider shot of the Comedy Carpet, you can read more about it here. I liked this one as it had the contrast of the young couple walking away arm in arm and the older couple coming towards the camera. Don’t think he necessarily as sad as he looks here but catching him looking down makes him look reflective. Shot randomly out the door of the Tower. I sat in the Ballroom today at Blackkpool Tower and sow the two Dancers that you have photographed..They were something special! Great photograph, you captured them so brilliantly.